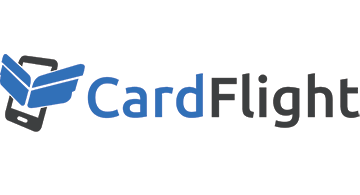 CardFlight is a software-as-a-service company offering mobile payments technology and point of sale solutions. We offer a Software Development Kit for developers to quickly add payment acceptance, integrated with their app's functionality and data, enabling them to offer their own custom user experience and application with payments. Our SwipeSimple platform includes EMV chip card reader hardware, iOS and Android mobile apps, and hosted web portals for resellers and their merchants, enabling Financial Institutions, Independent Sales Organizations (ISOs) and Merchant Service Providers to offer their merchants a great solution for accepting payments on smartphones and tablets. Our technology platform is EMV chip card enabled with encrypted card readers, and PCI Level 1 compliant payment gateway supporting all major U.S. processors. As industry leaders, we take pride in building the latest mobile payments technology and establishing partnerships to enable more companies to accept mobile payments. We have partnered with 15 of the top 60 merchant acquirers in the U.S and are currently working across a variety of verticals with companies like Artsy, Flywheel, Indochino, and Peloton, making mobile point-of-sale easy for our clients and their users.